A Telford golf star of the future has a local company to thank for vital sponsorship in his bid for success. Will Enefer, 20, has been hitting golf balls since the age of 3. He turned professional a year ago and has already finished 24th on the PGA Europro Tour. Now he has the backing of local insurance firm, Henshalls, who have offices in Newport, and the company is hoping their support will help him achieve even greater things. 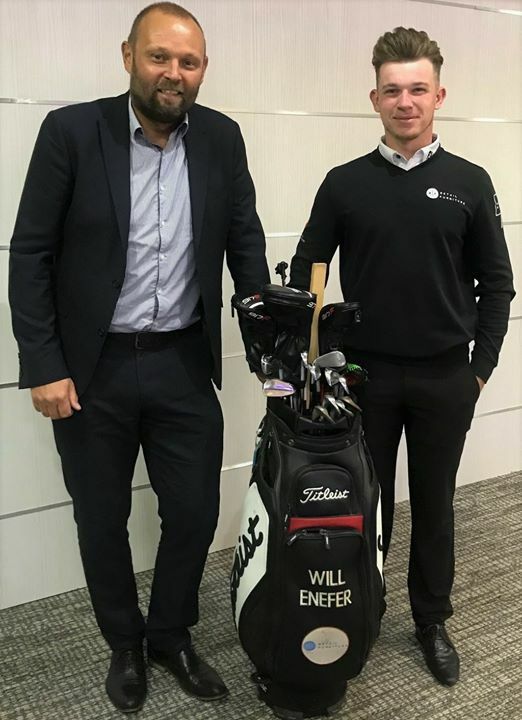 Henshalls Director Dave Williams said: “We have sponsored Will, who is the son of Neil Enefer, from Retail Furniture Limited. Neil was one of our first ever clients when the new-look Henshalls was formed in 2002, and it’s a great opportunity for us to thank him for his loyal support over the years. 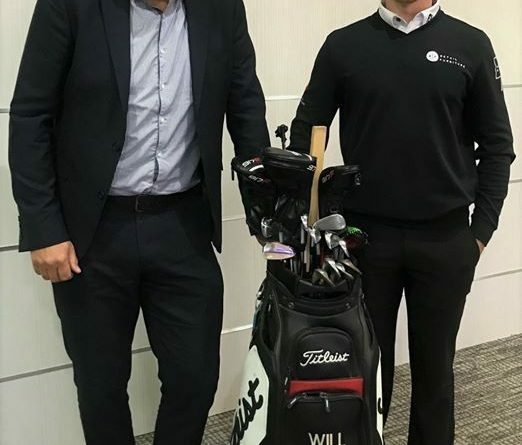 Will is currently a member of the Wrekin Golf Club, and began his career on the driving range with his Dad, before joining his first official club at the age of nine. And he has big dreams, which thanks to the support of companies like Henshalls, he’s hoping will come true. “My aim is to win on the European tour, win on the PGA tour, and become one of the top 50 players in the world,” he said. After one year as a professional, Will’s world ranking is 1208, and when he turned professional, he was ranked 204 as an amateur and was playing off a handicap of +5.